I cried myself to sleep Thursday night. I cried because my happy place will never be the same. 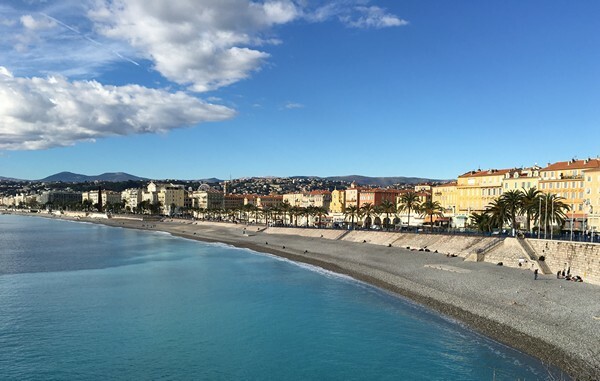 Nice, with its endless stretch of azure water– a view unbroken, unspoiled. Soon to be marred by security devices. Which will be deemed necessary, but will protect nothing. 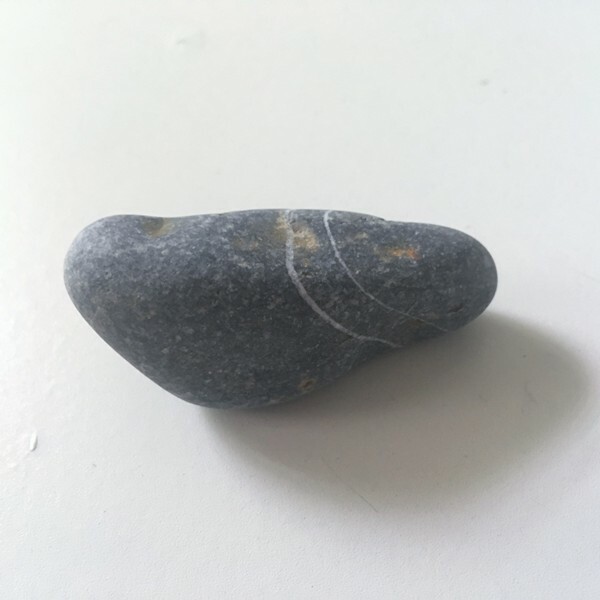 The sound of the famous Nice pebbles (one of which sits in front of me now) tumbling in the sea. A view that I would close my eyes and picture when I needed to sleep after a tough day. Shadowed by the spirits of the dead. Suddenly, I understood what makes people leave flowers. 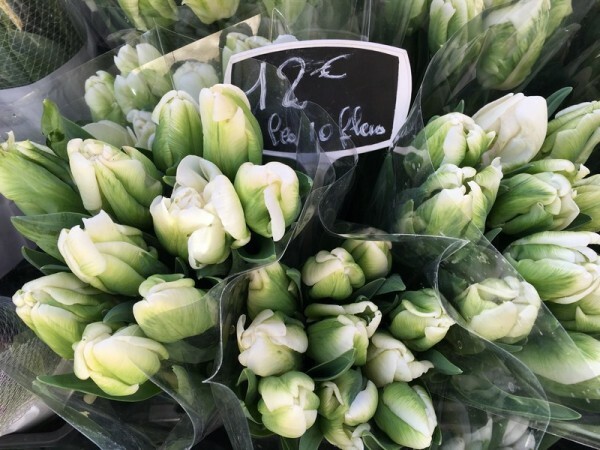 I want to go and leave flowers. I want to leave flowers, not at the site of the massacre, but by the American Consulate where on September 12, 2001 the French had placed flowers and a sign that read “Aujourd’hui nous sommes tous Américains” (today we are all Americans). Tears ran down our faces and we’ll never forget it. I want to go to Nice and comfort the people who have always been so kind to me. I’m crying for a place I’ve wanted to make my home since the first time my feet hit the pavement of the vielle ville. Since I first laid eyes on the incredible colors…. 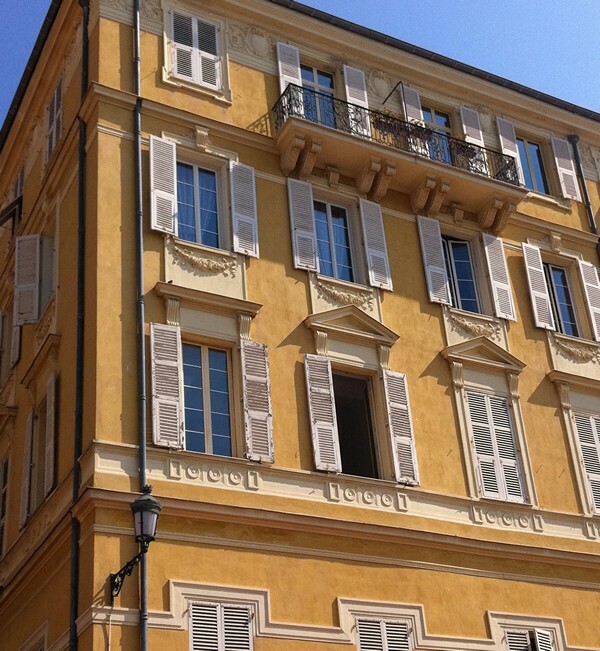 Of the buildings – that yellow with a touch of ochre (never duplicated here). The amazing azure of both sea and sky. 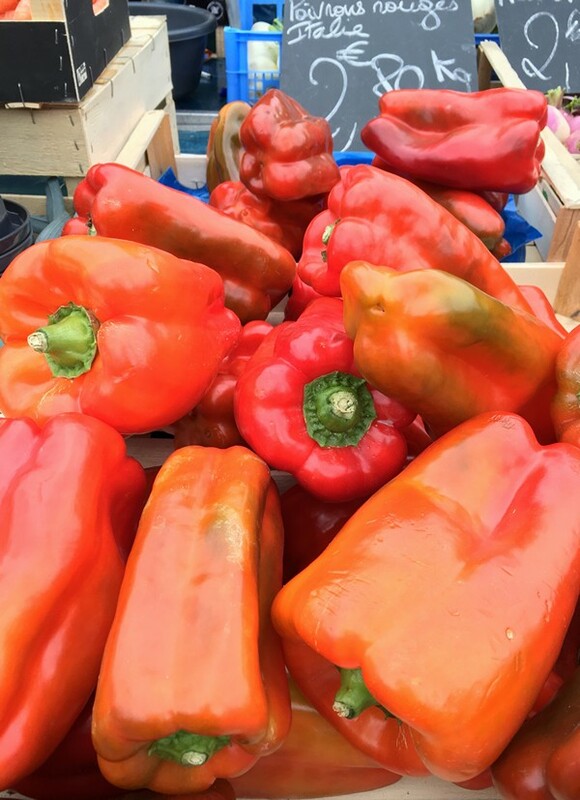 The brilliance of red peppers and deep purple artichokes. I’ve needed to live there. Is it hate that drives someone to mow down hundreds? Or a testosterone-driven need to leave in the ugliest way possible? And leave a legacy that will last. I’ll be back in Nice. Will I stay another month or longer? Will I live there someday soon? How long will it take before I can close my eyes and see the long stretch of beach without seeing horror? And most importantly, will it still be my happy place?